Welcome to Ultherapy Center San Diego! Voted #1 Facility for Ultherapy in San Diego County! Unlike many other Ultherapy centers, here at Ultherapy Center San Diego, you will receive the personal care and attention of a licensed, board-certified physician. Dr. Peter Mann, M.D. is the founder and medical director of our medical practice, and he personally performs the Ultherapy treatment, for a non-surgical facelift, in our clinic which is located in the heart of La Jolla Village in San Diego, California. He is well known in the community as a vascular surgeon and a cosmetic laser specialist, and lectures internationally to surgeons in the treatment of Phlebology. A teacher and an innovator, he is also one of San Diego’s foremost leaders and advocates of the Ultherapy treatment for a non-surgical facelift. Dr. Mann strongly believes that many of his patients, female and male, and across many age brackets, can benefit tremendously from the highly advanced ultrasound technology that Ultherapy provides. If you are interested in a consultation with Dr. Mann for a non-surgical facelift procedure, call our medical facility today! Feel free to give us a call! (858) 412-3951 or send us a message using our contact form! Approved by the FDA, Ultherapy is the only non-invasive procedure for lifting the skin on your neck, under your chin and along your eyebrows. Ultherapy will also decrease the appearance of lines along your chest. All in all, you will experience a more youthful, fresher look from your eyebrows down to your chest. This procedure utilizes the amazing power of ultrasound to perfectly and naturally change the appearance of your chin, neck, brows and chest. Ultrasound has proven to be effective and safe throughout the medical world for more than 50 years. Clinical studies have shown that Ultherapy is not only extremely safe but also extremely effective for anti-aging. 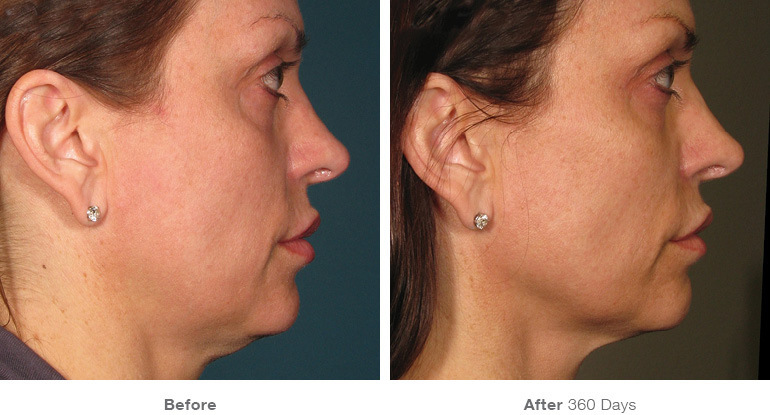 This procedure has been a complete success in over half a million treatments to date. 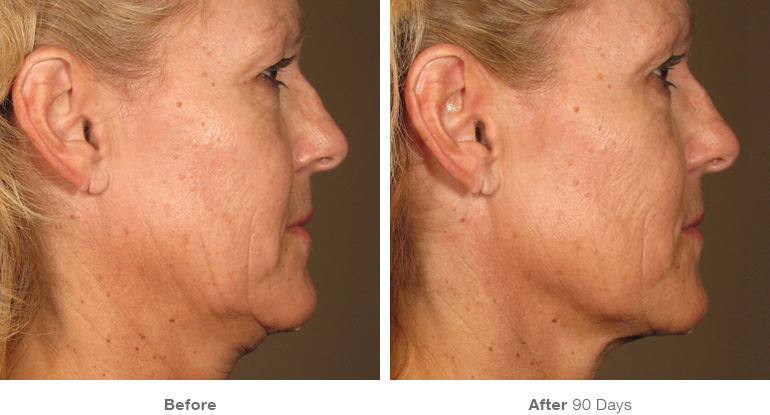 Ultherapy really works because it literally builds new collagen. Its advanced ultrasound imaging technology also allows the physician to precisely see the layers of tissue being treated and therefore ensures the treatment will target exactly where it will be most beneficial. The building of collagen takes place when the Ultherapy treatment stimulates the production of collagen by focusing on the skin's foundation. While people often associate the treatment with cosmetic surgery, it is completely different and does not involve cutting into the skin's surface like traditional cosmetic surgery. If you are looking for Ultherapy treatment in San Diego you have come to the right place! Schedule your appointment today! Meet Dr. Mann, a San Diego surgeon, with two decades of clinical and surgical expertise, who has devoted his life to improving the lives of his patients. Dr. Mann is a San Diego-based physician and has been practicing medicine for over twenty years. A perfectionist and true professional, he surgically trained at Yale University in Connecticut and at Orlando Regional Medical Center in Florida. Dr. Mann then went on to pursue a prestigious fellowship in Cardiovascular Surgery at the Medical College of Pennsylvania. With his unyielding determination and strong passion for the field of medicine, Dr. Mann also achieved board certification in Emergency Medicine, with the intention of providing his patients with an extra layer of safety to every procedure he performs. Dr. Mann meticulously curated and completed years of highly specialized medical training so that every patient of his would be provided with the absolute best care and outcome - his thousands of patients can attest to this. With his extensive education, Dr. Mann has led a very impressive medical career, including working as the lead the physician in California’s busiest Emergency Rooms, performing vascular surgery procedures in the country’s top Hospitals and operating several Private Practice Clinics, including The Secret Vein Clinic and Medical Care San Diego, for local San Diego residents. Ultherapy San Diego: No Needles – No Surgery! Unlike other procedures such as face lifts or plastic surgery, Ultherapy is a non-surgical procedure that literally bypasses the surface of your skin in order to provide the perfect amount of rejuvenating ultrasound energy deep under the surface of your skin. 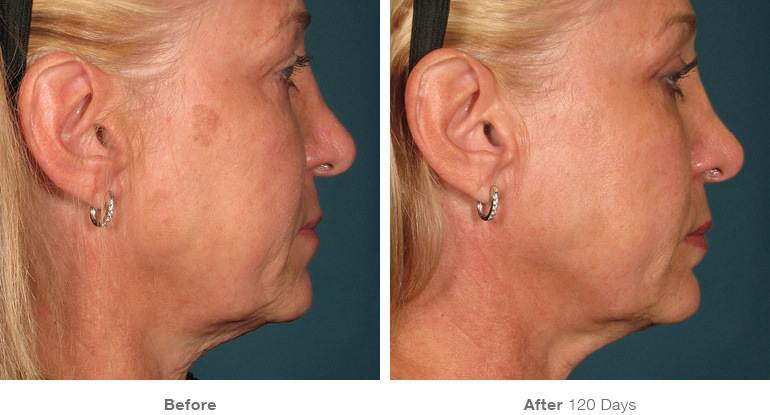 Ultrasound energy sets off a natural response “under” the skin's layer by reviving the regeneration process. It works from the inside, out. 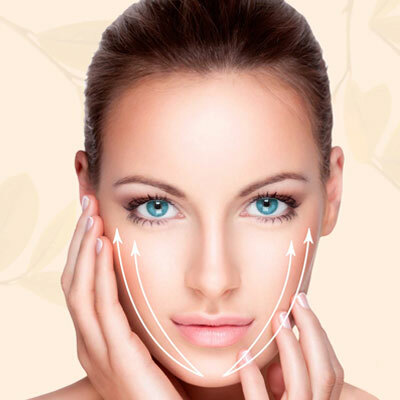 The new collagen regeneration will give you that fresh, youthful appearance you are looking for. It is one of Dr. Mann’s greatest honors to treat and care for his patients. As a teacher and innovator, Dr. Mann is constantly looking to the newest technologies and medicine to better serve his patients’ needs. One of these highly respected and recommended technologies is the Ultherapy Treatment. After years of talking to his patients, Dr. Mann recognized a pattern. All of his patients were seeking an alternative to plastic surgery. Dr. Mann went on to research the world’s foremost and most advanced treatments available, and identified the Ultherapy treatment. After completing extensive due diligence on its safety and effectiveness, Dr. Mann is now one of San Diego’s foremost leaders and advocates of the Ultherapy treatment. Dr. Mann believes it is the best alternative to plastic surgery for his patients who do not want to go under the knife. The Ultherapy treatment is the only FDA-Cleared, non-invasive procedure that lifts and tightens the neck, chin and brow, and improves lines and wrinkles on the chest. 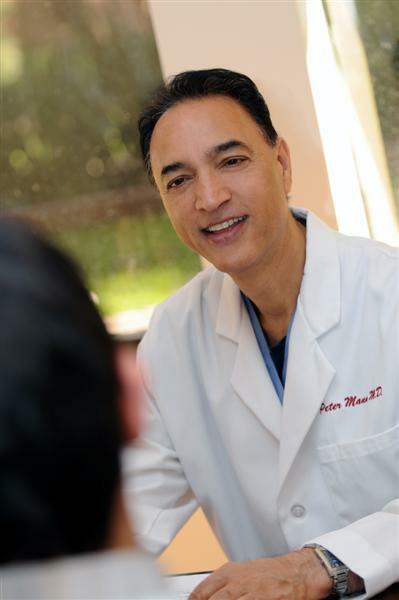 With Dr. Mann’s highly specialized training and genuine passion for healthcare, he is regarded among San Diego residents as an exceptionally gifted physician. His patients not only receive the best care but also experience a kind-hearted physician who takes the time to listen to their every healthcare need. Dr. Peter Mann is the founder and board-certified director of the Ultherapy Center San Diego, located in the heart of La Jolla Village. He runs his practice with a ‘Patient Centric’ model, meaning that patients are always his number one priority, no matter what. Dr. Mann has truly devoted to his entire life to improving the lives of others – everyone who meets him, can see that. An alternate to surgery. Results you can see! It will take 2 or 3 months to achieve the full effect of the treatment, although some patients have seen initial results directly after treatment. The new collagen will slowly lift and tighten the skin on your chin, brows, neck, and chest giving you smooth, tight, youthful skin. Your skin will literally be improving day to day in a natural, healthy and inconspicuous manner. It is the perfect alternative for those who do not want surgery or have no intentions of ever going under the knife. The building of collagen takes place when the Ultherapy treatment stimulates the production of collagen by focusing on the skin's foundation. While people often associate the treatment with cosmetic surgery, it is completely different and does not involve cutting into the skin's surface like traditional cosmetic surgery. Dr. Mann and his entire staff made my whole experience getting Ultherapy wonderful. The treatment was practically painless and I saw results the same day. The skin on my neck felt tighter and looked it too! I’m excited to see how the results get better over time. 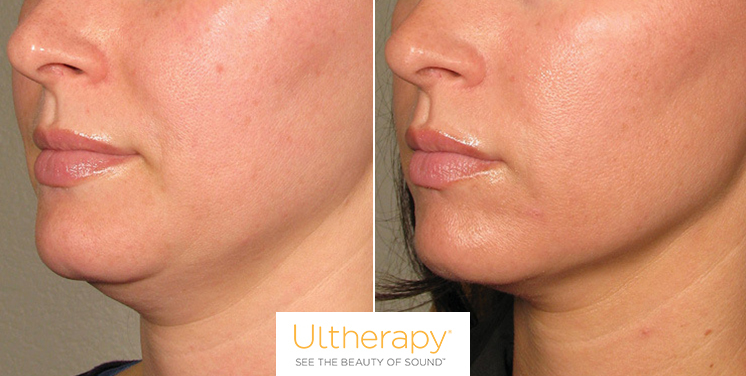 Ultherapy is a truly amazing treatment. 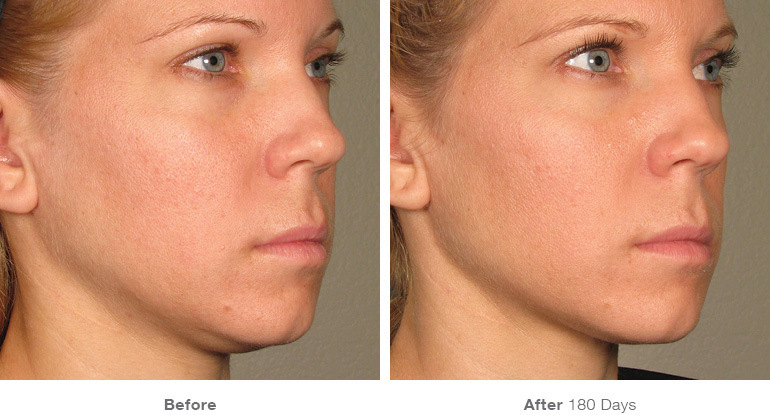 There is absolutely no cutting like traditional plastic surgery and the results are totally natural. I’ve had 3 treatments with Dr. Mann already (once every year) and am extremely happy the results. My face finally doesn’t look “tired” anymore, but instead fresh and rejuvenated! I absolutely love Dr. Mann’s office in La Jolla! He is a true medical professional with years of experience and he really cares about his patients. It’s been 2 months since my Ultherapy treatment, and my skin looks fabulous. I highly recommend everyone to Dr. Mann!